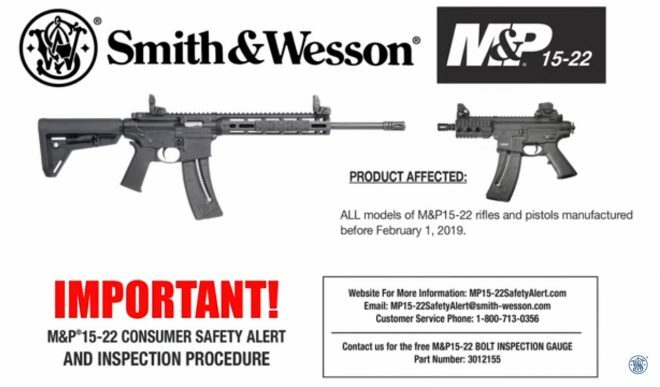 Looks like there is a recall on rifles and pistols. Guess S&W got reports of bolts being out of spec and firing multiple rounds on one trigger pull....But they are giving the gauges out for free if you want to check your bolt. Maybe the guys at Appleseed were on to something when they stated there were issues with the M&P15-22 bolts. Mybe the Appleseed will lift the ban so the rifle can be used in their shoots again.